The new second generation BMW X3 will have a 240 horsepower engine in the X3 28i and a 300 horsepower powerplant in the X3 35i which has a 0 - 60mph time of 5.5 seconds. Both engines are mated to an 8-speed transmission. The new X3 will have more suspension technology and more options that will be standard, like bluetooth, iPod connectivity, privacy glass, alarm system, etc. The new X3 grew in length 3.5 - 4 inches because the new X5 grew 8 inches to accommodate the 3rd row seat making the new X3 equal in length the older generation X5. The new X3 will be produced in an expansion of the BMW Spartanburg, South Carolina plant and is expected to arrive in U.S. BMW showrooms by the end of the year. 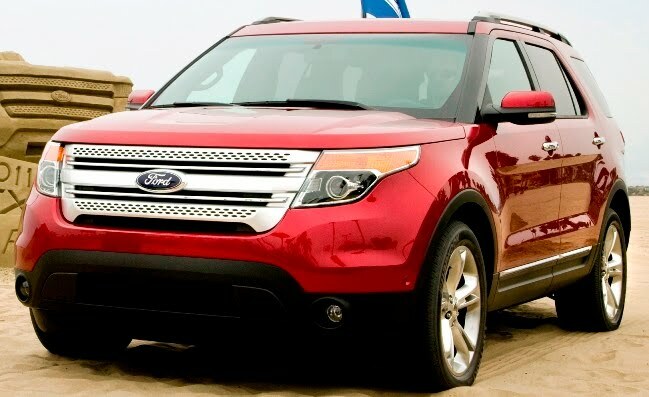 The one-time top-selling SUV, Ford Explorer has been reinvented and redeveloped offering two new engines with more than a 30 percent improvement in fuel economy over the current vehicle. The 290 horsepower 3.5-liter V6 engine is offered as standard equipment across base, XLT and Limited models delivering an anticipated improvement in fuel economy of more than 20 percent versus the current Explorer and the 237 horsepower EcoBoost 2.0-liter I-4 turbocharged direct injection engine improves estimated fuel economy by more than 30 percent. Explorer XLT and Limited models offer a SelectShift Automatic™ transmission, allowing drivers to manually change gears using a shifter-mounted +/- toggle switch. Ford's new "twin independent variable camshaft timing" or Ti-VCT enables increased mechanical efficiency for improved response and performance, while optimizing fuel economy. Ti-VCT is a low-tension drive belt featuring a one-way clutch for the alternator, a direct-acting mechanical bucket valvetrain with polished buckets to reduce friction, piston-cooling jets, improved bay-to-bay breathing through the cylinder block and composite cam covers that reduce engine weight. Ti-VCT allows precise, variable control of valve overlap, or the time when intake and exhaust valves are open concurrently. This enables increased mechanical efficiency for improved response and performance, while optimizing fuel economy. In part-throttle conditions, Ti-VCT helps reduce emissions. The 2011 Explorer will be produced at Ford’s Chicago Assembly Plant and will be exported to more than 90 countries. The 2011 Explorer goes into production later this year and goes on sale this winter. AutoNation, America's largest automotive retailer with 200 stores throughout the U.S., reported 2010 second quarter adjusted net income from continuing operations of $62 million or $0.38 per share compared to adjusted net income of $50 million or $0.28 per share for the same period in the prior year, a 36% improvement on a per-share basis. Revenue totaled $3.1 billion, compared to $2.6 billion in the year-ago period, an increase of 20%, driven primarily by stronger new and used retail vehicle revenue which increased 25%. AutoNation's new vehicle unit sales increased 20%. Penske Automotive Group with 323 stores (171 franchises in 17 states and Puerto Rico and 152 franchises located outside the United States, primarily in the United Kingdom) reported second-quarter net income rose to $29.2 million, or 32 cents per share more than double the $14.1 million, or 15 cents per share, in the year ago period. Revenue rose 16.6% to $2.7 billion from $2.3 billion a year ago. Total new retail unit sales increased 19.6%, including an increase of 20.5% in the U.S. Penske's same store sales rose 16 percent in the U.S. boosting total same-store retail revenue by 15.8% in its U.S. operations. Sonic Automotive, the nation's third-largest automotive retailer operating 140 franchises, reported second quarter adjusted earnings from continuing operations were $15.6 million, up 41% from adjusted earnings from continuing operations in the same prior year period. On a per share basis, the Company earned an adjusted $0.27 per diluted share from continuing operations, compared to an adjusted $0.23 per diluted share from continuing operations in the same prior year quarter. New vehicle retail revenue increased 19% and used vehicle retail revenue increased 23% for the second quarter of 2010 compared to the same quarter last year. The 2011 Audi A7 is a five-door coupe that blends the features of a sedan and the practicality of a station wagon. There are four V6 engines, two gasoline and two TDI units, including the 204 horsepower 3.0 TDI and Audi offers two different transmissions depending on the engines. The continuous multitronic sends the power to the front wheels, while the seven-speed S tronic works together with quattro permanent all-wheel drive. The A7 will have similar features to the new A8 where the driver can use a touchpad to perform numerous functions, such as using his or her finger to write the letters of the destination or the digits of the telephone number. The Audi A7 is 16.31 feet long compared to the new A8 which is 16.85 feet long. The A7 will be rolling into European dealerships in the Fall and into the U.S. in the 2nd quarter of next year. Audi's new flagship A8 will be in U.S. dealer showrooms in late November. U.S. pricing will come closer to launch but expect both models to be on either side of $80,000 depending on equipment and currency exchange rates. 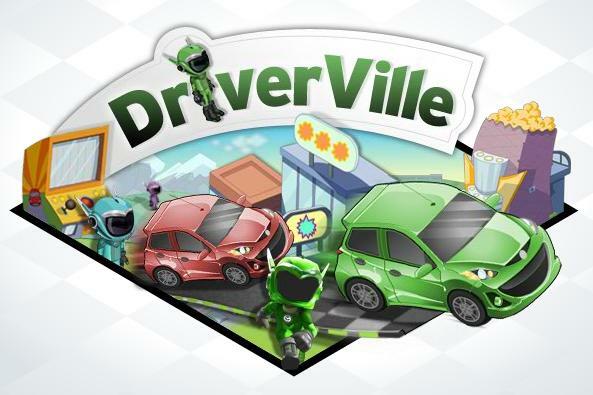 The 2011 MAZDA2 is being launched now in North America with a social game on Facebook called DriverVille which puts consumers in a virtual world to learn about and compete with the eco-friendly, five-door hatchback in a social adventure. Players customize their Mazda2 to fit his or her driving personality and then play to win Driver Bucks virtual currency to buy virtual items and win weekly sweepstakes prizes. There are mini-games including racing at Mazda Raceway and getting snow tires, a snowboard and accessory roof rack in order to go snowboarding. To access the game visit http://facebook.com/mazda and click on the DriverVille tab. The 2011 Chevrolet Volt electric vehicle with extended-range capability can be ordered now for a price starting at $41,000 ($33,500 net of the full federal tax credit, which ranges from $0-$7,500) including a destination freight charge of $720 OR on a lease program with a monthly payment as low as $350 for 36 months at the Manufacturer's Suggested Retail Price with $2,500 due at lease signing, including security deposit based on current conditions, which could vary at time of delivery. The benefit of the $7,500 tax credit is included in the reduced lease payment, with the tax credit going to the lessor. 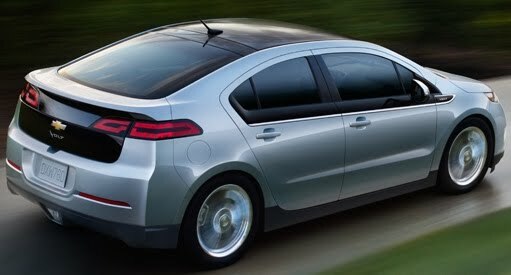 Customer deliveries of the Chevrolet Volt are scheduled to begin in launch markets late this year with initial production limited. The Volt will be initially available to Chevrolet customers in California, New York, Michigan, Connecticut, Texas, New Jersey and the Washington D.C. area. A Volt dealer locator is available at http://www.getmyvolt.com. For customers needing general Volt information, Chevrolet will have a team of Volt advisors available to answer questions at 1-888-VOLT-4-YOU. The Chevrolet Volt has a total driving range of about 340 miles and is powered by electricity at all times. For up to the first 40 miles, the Volt drives gas- and tailpipe-emissions-free using electricity stored in its 16-kWh lithium-ion battery. When the Volt's battery runs low, a gas powered range-extending engine/generator seamlessly operates to extend the driving range another 300 miles on a full tank. The Volt is the first GM vehicle to offer five years of OnStar Directions and Connections service, which includes Automatic Crash Response, stolen vehicle assistance and connected navigation, all standard. Volt will introduce an OnStar-enabled mobile app that connects the vehicle to the owner's smartphone. The Volt also has eight air bags -- dual-stage frontal, side-impact, knee, and roof-rail side-impact—and StabiliTrak electronic stability control with Traction Control. Ford Motor Company made some executive appointments that it says will "further sharpen its senior leadership team’s focus on the “One Ford” plan and to support the company’s growth around the world." Jim Farley, 48, currently Ford group vice president, Global Marketing and Canada, Mexico and South America operations, will take an expanded role as Ford’s global leader for marketing, sales and service around the world. This marks the first time Ford has a single global leader for marketing, sales and service. The move is effective Aug. 1. * John Fleming, 58, Ford executive vice president currently serving dual roles as Chairman and CEO of Ford of Europe and head of Global Manufacturing and Labor affairs, will lead the company’s Global Manufacturing & Labor Affairs operations. * Stephen Odell, 55, currently CEO of Volvo Cars, is appointed a Ford group vice president and succeeds Fleming as chairman and CEO of Ford of Europe. 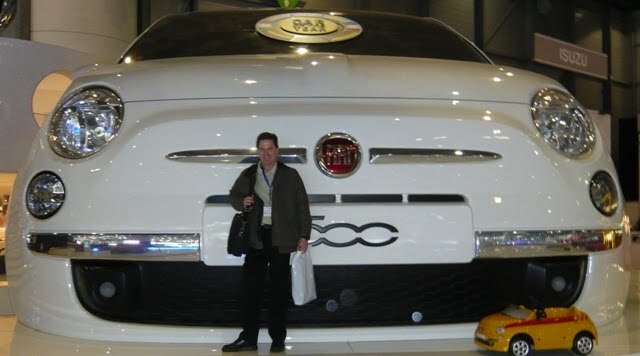 * Stuart Rowley, 43, chief financial officer of Volvo, becomes chief financial officer, Ford of Europe. All three appointments will be effective upon the closing of Ford’s sale of Volvo to Zhejiang Geely Holding Group Limited, expected to occur later this quarter. Ford is reorganizing its operations in Canada, Mexico and South America. Effective Aug. 1, Eduardo Serrano, 50, currently president and CEO of Ford of Mexico, is appointed executive director, Latin America, with responsibility for the company’s operations in Mexico and South America. David Mondragon will continue as president, Ford of Canada. Both Serrano and Mondragon will report to Mark Fields, Ford executive vice president and president of the Americas. Reuters and Bloomberg are reporting that the Renault-Nissan alliance hired Jim Press as of March in a role of consultant on sales and marketing projects. Late last year the 63 year old Press ended a two-year stint at Chrysler after 37 years at Toyota where he was the first non-Japanese to be elected to its board of directors. Simon Sproule, director of communications at the Renault-Nissan alliance said Press's consultancy contract started in March and the length and terms of the contract were confidential. The Toyota Highlander may be considered a mid-sized crossover or even a Camry wagon on steroids but in my view it's the best choice when compared to its Toyota siblings or competitors which is supported by the fact that the Highlander (39,725) has outsold the Sequoia (5,700), 4Runner (21,953) and Venza (25,196) through the first half of 2010. The Highlander is the shortest, most fuel efficient (18 city/24 hwy) and least costly going against the Honda Pilot, Chevrolet Traverse, GMC Acadia and Mazda CX-9 though the Dodge Journey is quite a bit cheaper. Exterior beauty is in the eyes of the beholder and interior seating height is also a personal preference, and Highlander fit the bill of combining the space and seat height of a large SUV into a smooth, powerful car-like experience into an aerodynamically-crafted sleek vehicle. The current Highlander is the result of a 2008 redesign which made it larger and more powerful than the original generation which debuted in 2001 and received a horsepower boost in 2004. The "salsa red pearl" Highlander Limited that I was fortunate to test drive was amazingly quiet which is a very important characteristic based on today's market research which ranks wind and outside noise as a top customer complaint. 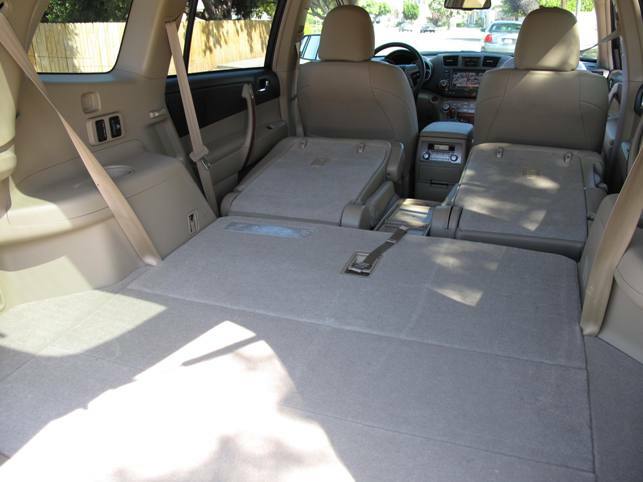 The Highlander provides plenty of cargo space when the 2nd and third row seats are folded flat, in fact, I would bet there's more cargo room in the 2010 Highlander than my 2002 Sequoia SUV where the 2nd and 3rd rows stow vertically, unless the 3rd row is removed entirely. It's truly amazing how much cargo does fit into the Highlander, and, when fully loaded, how nimble it performs delivering a comfortable the ride. Highlander comes in either 2 or 4 wheel drive and has three powertrain choices: the standard 187 horsepower 2.7 liter four-cylinder engine, the more popular 270 horsepower 3.5-liter V6 and, of course, the hybrid-powered model. 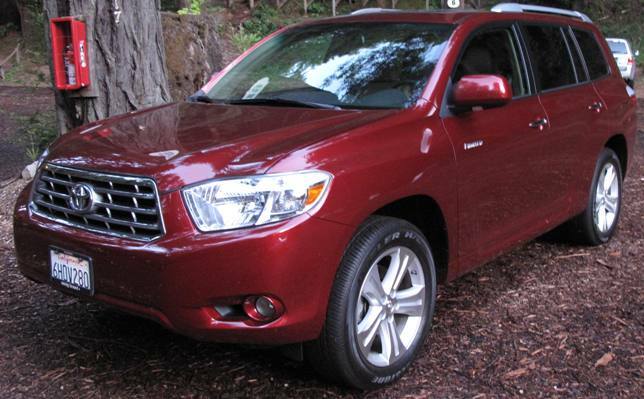 My brother has the smaller previous generation Highlander hybrid which he raves about, especially on the fuel economy. My wife who still spends time driving a 1996 4Runner, first goes for looks and says the Highlander's sleek exterior styling beats the current model 4Runner (pictured right above) which has a more macho bulky appearance. She also enjoyed the Highlander ride, SUV-like raised seating position and interior styling. I was impressed with the versatile functionality, specifically the seating options and hauling capability, and the effortless acceleration and smooth handling of the AWD V6 Limited with a sticker of $40,995 that included the $1,780 Rear-Seat DVD Entertainment System and $4,900 Extra Value Package that bundled touch screen nav, bluetooth phone connectivity, upgraded sound system, moonroof, rear air, heated from seats and a power rear tailgate door with remote. The $40,995 sticker included the $800 delivery and handling charge and an Extra Value Package discount of $1,500. The Highlander starts at $25,855 for the 4-cylinder model which gets 20mpg City/27mpg Highway and runs up to a starting MSRP of $41,220 for the Highlander Hybrid Limited with 27 City/25 Hwy mileage. The mileage of the AWD Limited with the 3.5 liter V6 is 17 City/23 Hwy. Bottom line: this Highlander was loaded with features including 7 airbags and it drove like a dream for the thousand miles I racked up in a week. A definite BUY. Toyota provided the vehicle used in this evaluation. 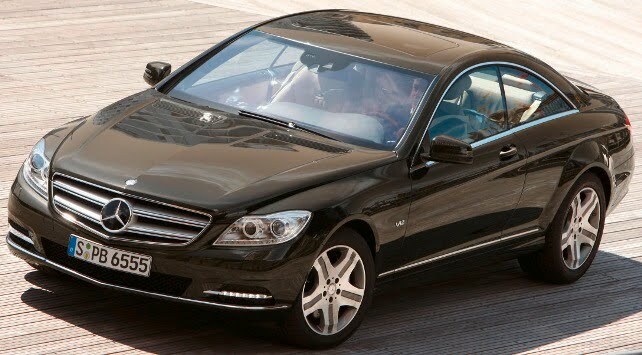 The updated 2011 Mercedes-Benz CL550 4MATIC is powered by a new 429 horsepower V8 biturbo engine with BlueDIRECT technology which achieves a 10 -15% improvement in fuel economy and 23% improvement in CO2 emissions and takes 4.9 seconds to accelerate from a standstill to 60 mph. The top-of-the-line 2011 Mercedes-Benz CL600 has a 510 horsepower 12-cylinder biturbo engine and accelerates from a standstill to 60 mph in 4.5 seconds (pictured above). Now before you fall in love, be aware that the 2010 CL-Class models start at $110,400 for the CL550 and $156,400 for the CL600 so expect 2011 prices to be in that ballpark. OK - read on. Driver assistance systems in the CL-Class include a modified Active Body Control with crosswind stabilization system that not only regulates roll, but pitching and squatting movements as well. Also, theres a Direct-Steer system which can vary the steering ratio based on the steering angle and Active Lane-Keeping Assist which evaluates information provided by a camera mounted on the inside of the windshield. It identifies the contrast between the road surface and the lane markings. In addition, the optional radar system scans the side of the roadway for dividers and other roadway edge markings. The system also evaluates the driver's actions and can reliably determine whether the car is departing from the lane intentionally or not. For instance, there is no warning if the driver accelerates hard just before passing or when accelerating onto a highway, or if he brakes hard or steers into a curve. The CL-Class Active Blind Spot Assist is a system that makes use of a multi-stage warning concept. If the system detects that a lane change would be too dangerous, it warns the driver by displaying a red triangle in the glass of the exterior mirror. The 2011 CL-Class will make its U.S. debut in the Fall. Ford is expanding its SYNC technology to give drivers safer alternatives for hand-held texting to keep their eyes focused on the road. Ford is improving the SYNC text message readback feature, giving drivers a “Do Not Disturb” button and “lock-out” capabilities that are not needed for driving. Ford will offer the new features on 2011 model year vehicles equipped with MyFord or MyLincoln Touch, the driver connect technology that provides drivers personalized access to information and entertainment through voice control, touch screens and five-way controls mounted on the steering wheel. The new 2011 Ford Edge and Lincoln MKX will be first to offer the “Do Not Disturb” button which blocks incoming phone calls or text messages from a Bluetooth-enabled mobile phone paired with SYNC by diverting calls into voicemail and saving text messages on the device for viewing later. But unlike turning the phone off, drivers can still make voice-activated outgoing phone calls. Toyota Motor Sales, U.S.A.is expanding its Product Quality Field Office program to four additional U.S. regional sales areas, following a pilot program launched in the New York regioin late 2009. TMS will officially open its next Product Quality Field Office in San Francisco this month, and three additional offices across the U.S. over the next 12 months. Toyota Canada will establish Product Quality Field Offices in Toronto and Calgary, for a total of seven offices across North America. Staffed by technical and engineering specialists, the Product Quality Field Offices aims to enhance the ability to detect, analyze and respond to customer and quality issues in the field with the mandate to investigate specific field quality issues related to unique regional, geographical or environmental conditions in each area. The New York region office was developed to investigate the performance of Toyota, Lexus and Scion vehicles in cold weather climates, with an emphasis on corrosion issues. The new San Francisco office will focus on hybrid vehicle systems and durability, with the high concentration of these vehicles in the California market. Toyota is currently evaluating opening additional offices in Jacksonville, Fla. to focus on heating, ventilation and air conditioning and drivability; Houston, Texas to concentrate on trucks and chassis components; and Denver, Colo. to study high altitude performance and SUV models. Offices in Toronto and Calgary will focus on extreme seasonal temperature changes and high road salt usage, as well as unique vehicle operating conditions. Chrysler Group will launch 500 special-edition Mopar 2010 Dodge Challenger in dealer showrooms next month at an MSRP of $38,000 for an automatic transmission and $39,000 for a manual transmission. Both prices include $750 for destination. Customers may pre-order now. The Mopar '10 comes equipped with a 5.7-liter HEMI® V-8 engine, a hood-venting system, a cold-air intake, a front strut-tower brace with shock caps, and a unique engine cover. Under the decklid is a rear strut-tower brace that stiffens the chassis and improves handling characteristics of the car. 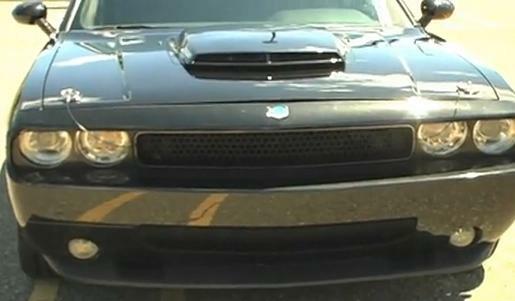 Mopar '10 will be available in Brilliant Black with a choice of three accent colors: Mopar Blue, Red or Silver. Accent colors will appear on side stripes as well as in the stitching on the steering wheel and seats. Exterior features include 20-inch forged heritage gloss-black wheels, black-chromed grille surround, and a functional, vented T/A-style hood with vintage hood pins. Mopar logos and graphics are prominent on the front fascia, hood, hood-pin caps, body-side stripes, windows and on the chromed fuel door. A special Mopar '10 car cover also comes with the vehicle. Interior features include Katzkin leather seating, custom leather-wrapped steering wheel with baseball-style stitching, Mopar shift handles (T-handle for automatics, Pistol Grip for manuals), a serialized dash plaque with Mopar '10 logo and Mopar branding throughout. No mention of power in the news release so I guess we can expect the same 357 horsepower that's under the hood in the current top of the line Challenger R/T models. 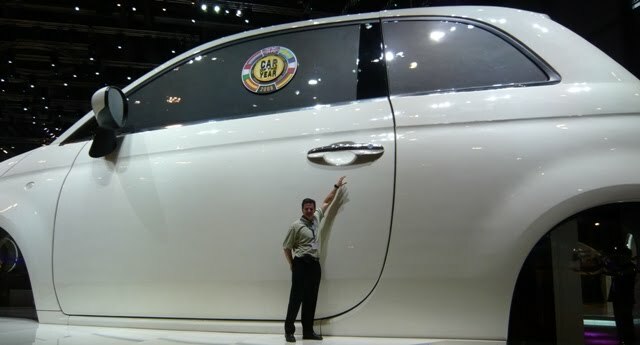 Chrysler Group has begun to select dealers in about 125 U.S. markets covering 41 states, identified for growth potential in the small-car segment, to sell the Fiat 500 late this year and the Fiat 500 Cabrio in 2011. 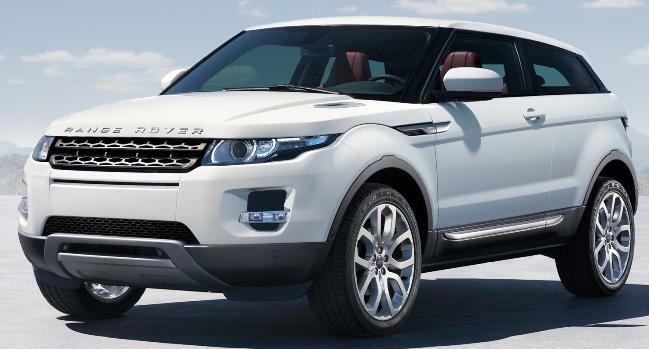 The all-new Range Rover Evoque, the smallest, lightest and most fuel efficient Range Rover ever produced, was introduced at the 40th birthday celebration of Range Rover in London and will join the Range Rover and Range Rover Sport in North American dealerships in the Fall of 2011. The all-new Range Rover Evoque which spawned from the 2008 LRX concept will make its global public debut at the Paris Motor Show at the end of September and will be sold in over 160 countries starting next summer. General Motors' Chevrolet, Buick, GMC and Cadillac brands saw June U.S. sales of 194,828, an increase of 36 percent. Year-to-date sales of 1,069,577 for the four brands is a 32 percent over the first six months of last year. Ford, Lincoln and Mercury sold 170,900 new vehicles in June, a 15 percent increase versus a year ago. Year-to-date sales total 954,745, up 28 percent. 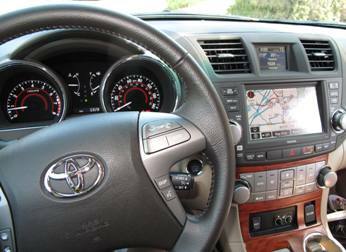 Toyota Motor Sales reported June sales of 140,604, up 6.8 percent over the year-ago. The Toyota Division posted June sales of 123,272, an increase of 7.4 percent over the same period last year and Lexus had June sales of 17,332, up 2.7 percent over the year-ago month. For the first-half of the year, TMS reports sales of 846,542, a gain of 10.6 percent over the same period last year. American Honda June sales of 106,627 was an increase of 6.2 percent while year-to-date sales reached 593,909, an increase of 12.6 percent versus last year. Honda Division posted June sales of 95,788, an increase of 4.0 percent while Acura sales were 10,839, a 30.9 percent increase over 2009. Chrysler Group's U.S. June sales of 92,482 was an increase of 35 percent versus June 2009. Year-to-date, Chrysler has sold 527,219 vehicles, up 12 percent over the first six months of last year. Nissan North America reported June sales of 64,570, an increase of 10.8 percent, compared with June 2009. Nissan Division sales rose 8.2 percent for the month, while sales of Infiniti vehicles were 31.7 percent higher than a year before. Year-to-date, total sales are 440,332, a gain of 26.6 percent over the first six months of last year. Hyundai Motor America June sales of 51,205 was a 35 percent increase compared with the same period a year ago and an all-time sales record for both the month of June and the entire first half of the year for Hyundai. Year-to-date Hyundai sales are 255,782, a 25 percent rise over 2009. Kia Motors America announced its best June sales ever of 31,906, a 18.8 percent increase over last June. Kia's year-to-date sales of 170,069 are up 15.4 percent over last year. Subaru of America posted record June sales with 21,601 vehicles sold, a 16 percent increase over June 2009. Year-to-date sales total 125,960, a 35 percent increase over 2009. Volkswagen of America reported June sales of 21,051 total units, a 10.6 percent increase over June 2009, and its twelfth consecutive month of sales growth. Year-to-date, Volkswagen's sales are 126,012, up 29.9 percent versus 2009. Separately, Audi reported June sales of 8,601, a 14.3 percent increase over a year earlier. Year-to-date Audi U.S. sales of 48,440 propelled it to the best first-half results of any year since it began selling cars in the U.S. market surpassing its previous first-half record set in the first six months of 2007. BMW and MINI vehicles June U.S. sales of 23,331, increased 11.9 percent. For the first half of the year, the BMW Group reported a total sales volume of 121,585 vehicles, up 6.2 percent from the same period last year. BMW brand accounted for 19,182, an increase of 14.6 percent while MINI USA sales of 4,149 cars in June was an increase of 1.1 percent compared to last year. Mercedes-Benz USA June sales of 18,997 vehicles, an increase of 25.4 percent and on a year-to-date basis, MBUSA has sold 106,967 new vehicles, an increase of 25.7 percent over last year. On a year-to-date basis, MBUSA has sold 106,967 new vehicles, an increase of 25.7% over last year. smart USA recorded 577 sales in June bringing Daimler's June total to19,574 for Mercedes and smart. Mazda North American Operations reported 18,238 vehicles sold, a 32.8 percent increase and through the first half of the year, MNAO has sold 115,719 vehicles, outpacing last year by 15.3 percent. Jaguar Land Rover June sales were 4,408, a 53 percent rise from June 2009 and year-to-date JLR has sold 20,815, a 15 percent gain. Mitsubishi Motors North America June sales were 4,198, down 3.8 percent compared to June 2009. 2010 sales so far are 26,490. Porsche Cars North America June sales in the U.S. were 2,141, an increase of 137 percent over last year when it sold 902. Year-to-date sale are 10,984, a 13.7 percent rise over 2009. Halfway through the calendar year, Porsche has now sold 10,984,14 percent ahead of last year’s six-month pace. American Suzuki reported June sales of 2,035, a 5 percent drop. At the mid-way point of 2010 Suzuki's U.S. sales are 11,549, a 48 percent tumble from 2009. This report will update as manufacturers report.